Headaches -- pain in your head -- is a common reason for emergency room visits in the United States. 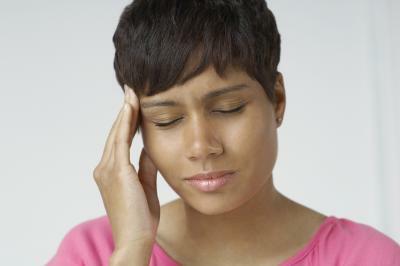 These headaches are caused by several medical conditions. Each can result in pain in the right side of the head -- however in most cases, this pain can manifest on either side of the head. Trigeminal neuralgia can cause pain on the right side of the head. This condition, also known as tic douloureux, is a chronic and painful condition. Trigeminal neuralgia targets the trigeminal nerve or fifth cranial nerve, which is one of the head's biggest nerves. A person with trigeminal neuralgia will feel severe, episodic and sudden burning face pain that can last for up to two minutes per bout. Trigeminal neuralgia is characterized by successive bouts of face pain. Trigeminal neuralgia-associated pain can be debilitating. Trigeminal neuralgia occurs when a blood vessel compresses the trigeminal nerve as it leaves the brain stem. Over time, the nerve's protective myelin sheath can wear away, causing symptoms to develop. Temporal arteritis can cause pain on the right side of the head. This condition is characterized by inflammation and damage to arteries bringing blood to the head. The large and medium arteries that branch from the neck are particularly susceptible to temporal arteritis. Arterial inflammation in the neck, trunk and upper extremities is known as giant cell arteritis. Temporal arteritis may be caused, at least in part, by a deficient immune response. 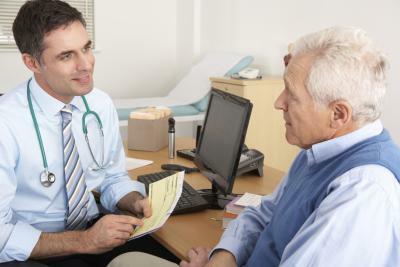 Temporal arteritis has been linked with serious infections and heavy antibiotic use. The most common location in which temporal arteritis manifests is in the head, in the temporal arteries, which branch off the carotid artery. Temporal arteritis is most common in people over the age of 50, although it can arise in younger individuals, too. Tension headaches can cause pain on the right side of the head. 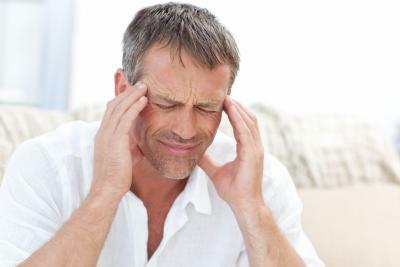 Tension headaches, also known as tension-type headaches within the medical community, are the most common kind of headache, although the exact cause of tension headaches is unclear. Tension headaches are characterized by general, low- to medium-intensity head pain. A person with a tension headache will often complain about a band of pain that encircles her head. Common signs and symptoms associated with tension headaches include diffuse, achy head pain, pressure on the front, back and sides of the head, tenderness in the muscles of the scalp, neck and shoulders and anorexia or a loss of appetite. Tension headaches can last for up to one week, although some tension headaches are over within 30 minutes. Seek medical attention right away if your headache is more severe, or different than prior headaches; or you have a fever, rash or neck stiffness with your headache.